How to enable BMW ICOM A2 to work with ISTA-P v3.59 ? 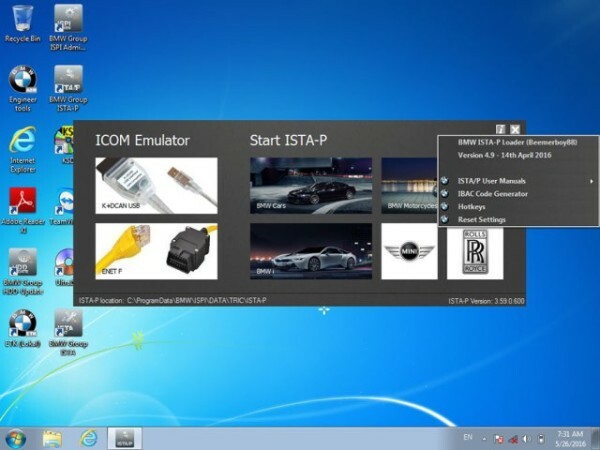 In order to enable the BMW ICOM A2 firmware to work well with ISTA P v3.59, you need a valid ICOM A2 license or ISTA-P loader firstly. In other word, BMW ICOM A2 requires valid firmware license. 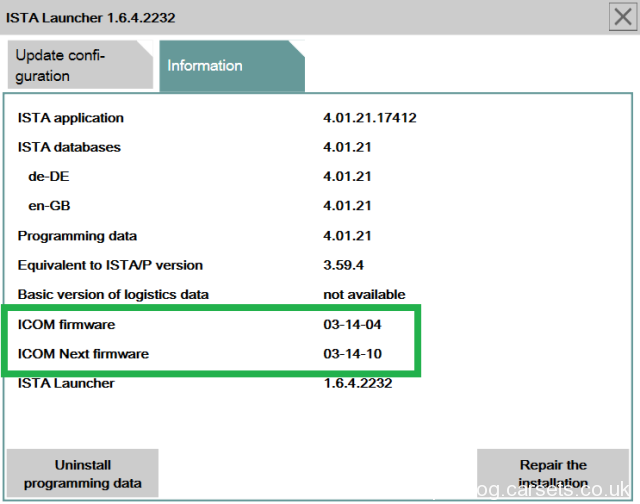 If you have no license, you just update firmware to latest version and use ista-p loader v4.9 (v5.x discontinued). Tried running Rheingold ISTA/P 3.55.0.100 using v3.2 loaded. Select BMW car and ista/p loaded up. Select interface. all good so far. On the next page I had a progress bar on the bottom left. “An error on execution of the measure. 94201 Technical service initialisation failed. All help appreciated as this is getting frustrating. Error solved. And ISTA/P works like a charm. What to do if programming data is missing? “Programming data” in launcher is for ISTA 4 only (I, F & G series). Requires separate install to ISTA/P. BMW ICOM, ICOM A1, ICOM A2 and ICOM A3, What’s the difference? How to match Toyota remote key with Xtool X100 Pad ? 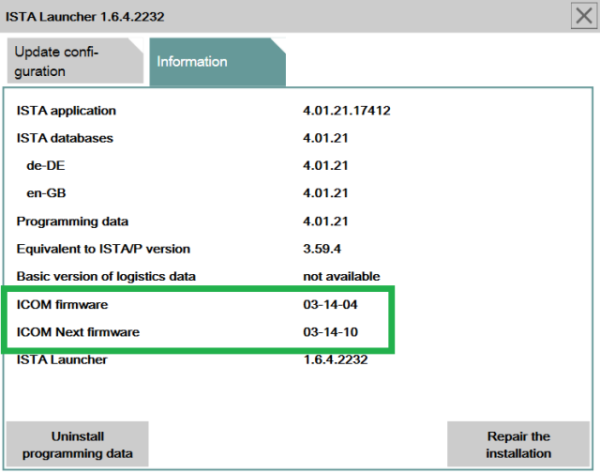 How to Use Vxdiag Diagnostic Cloud APP?